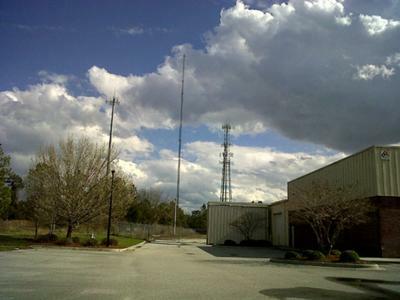 A picture of a monopole, a guyer wire tower and a lattice self supporting tower, all at one location near Carolina Beach Road in Wilmington, North Carolina. I guess they had to build 3 towers? One wasn't enough? Lucky property owners.